Observation - Grey Squirrel - UK and Ireland. Description: While watching the birds in the garden this little chap came to have a drink from the pond. 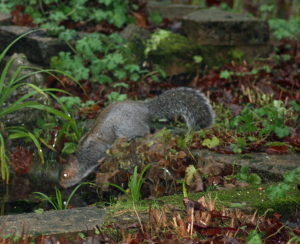 While watching the birds in the garden this little chap came to have a drink from the pond.